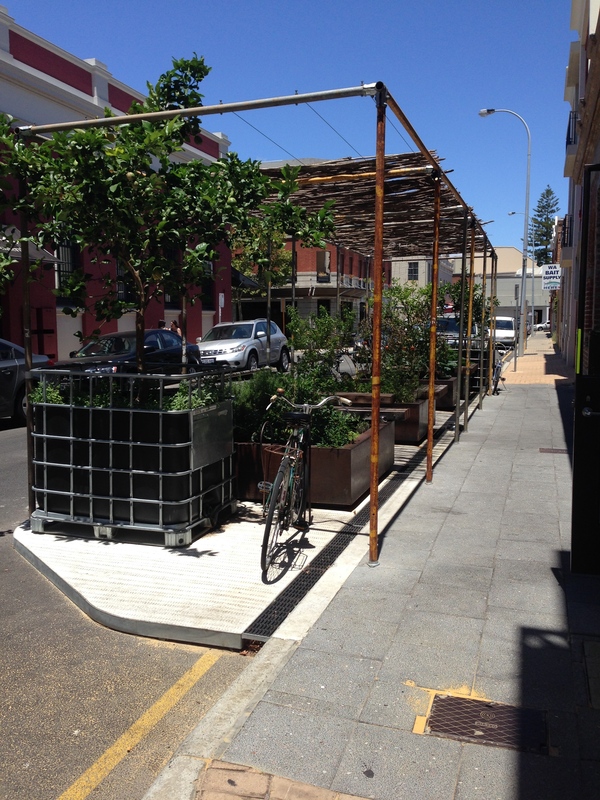 Located in Packenham street in Fremantle, Bread in Common is a new tapas style restaurant which also includes a bakery. Outside the restaurant is a lovely garden area. While inside there are large communal style tables, and the whole place has a rustic feel befitting it’s former use as a warehouse. 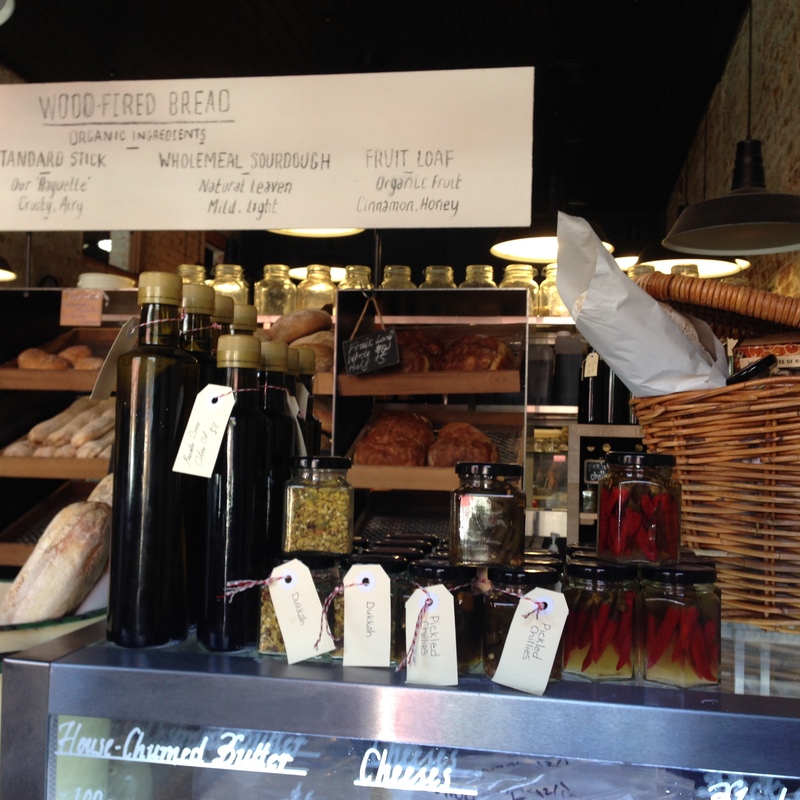 There’s something Bread in Common has a lot of – Bread! 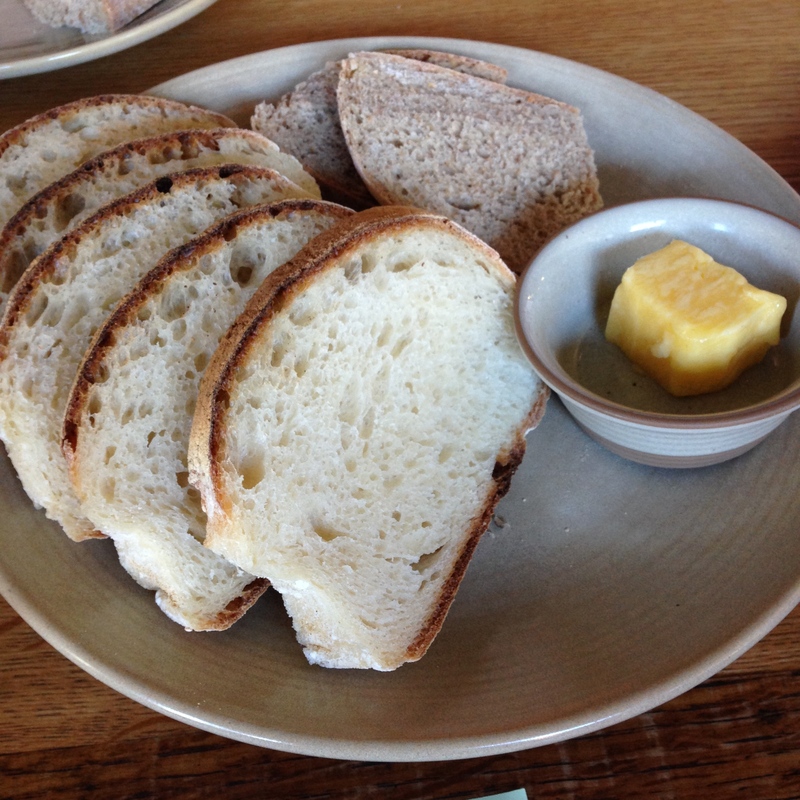 We couldn’t get over the fresh bread and house churned butter, soft, a little bit of salt from the butter, just divine. 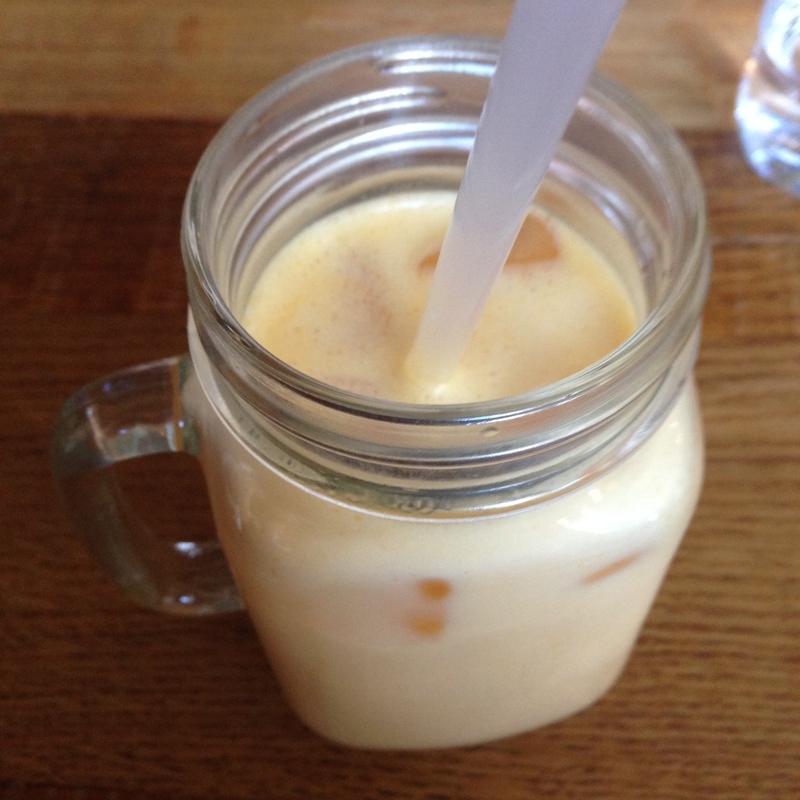 Smoothies are fantastic at the best of times, but having a coconut cream, pineapple and orange smoothie in a mason jar makes it taste better (I can hear the cries of hipster from here, I like giant glass mugs with handles okay?). It’s a really interesting combination, and the coconut cream makes it indulgent without the heaviness of yogurt. The pineapple and orange were lovely and refreshing, a great summer late lunch drink. 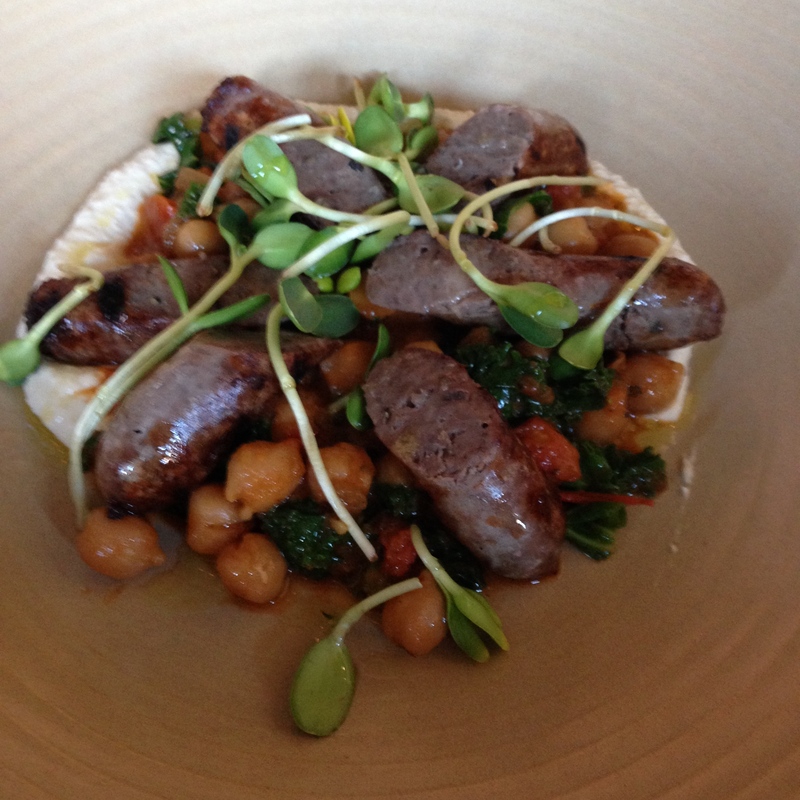 The venison sausage, chickpea and hommus dish was very nice. Venison is an unusual flavour, and the heaviness of the sausage worked well with the lightness of the chickpea. The chickpea was definitively a dominant flavour, being there both in the hummus and whole. 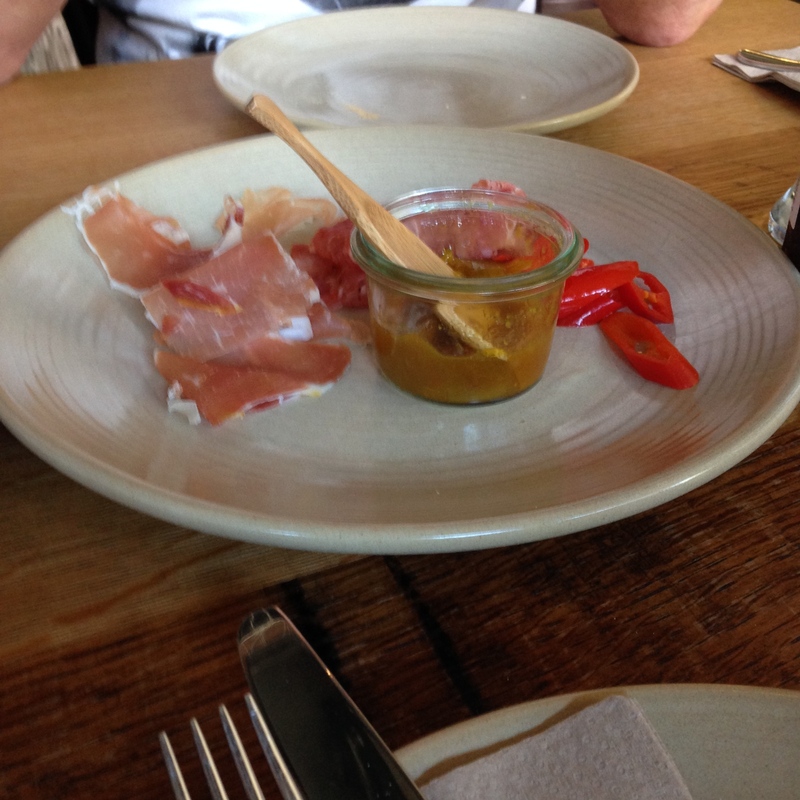 Overall this was an enjoyable and interesting dish. 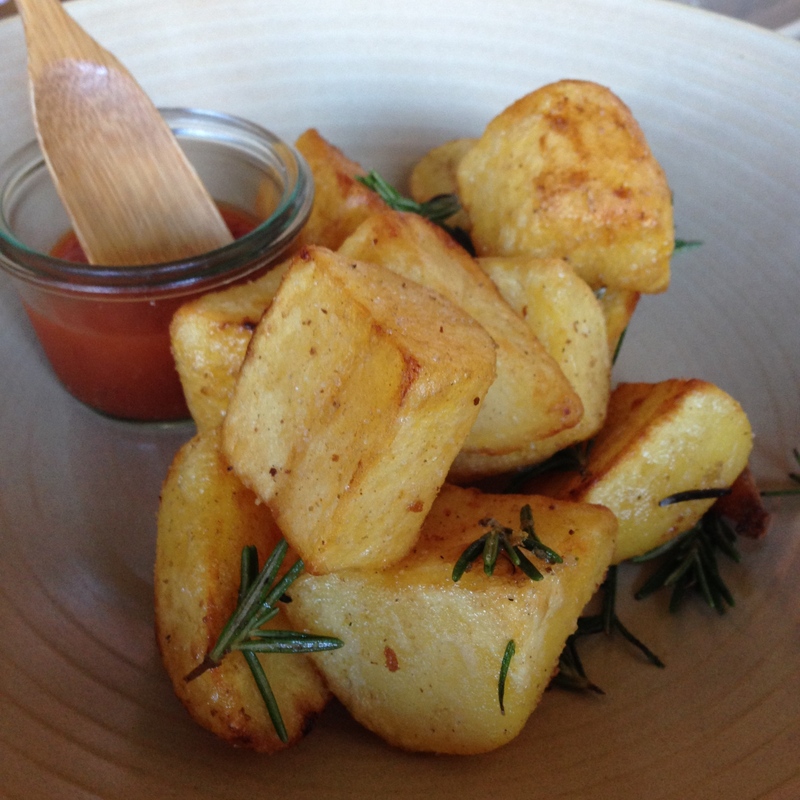 Another fabulous dish was the duck fat roasted potatoes, which I can say without a doubt were the best roast potatoes I had ever had. Beautiful and crisp on the outside, while soft and light in the middle. It was just heavenly. 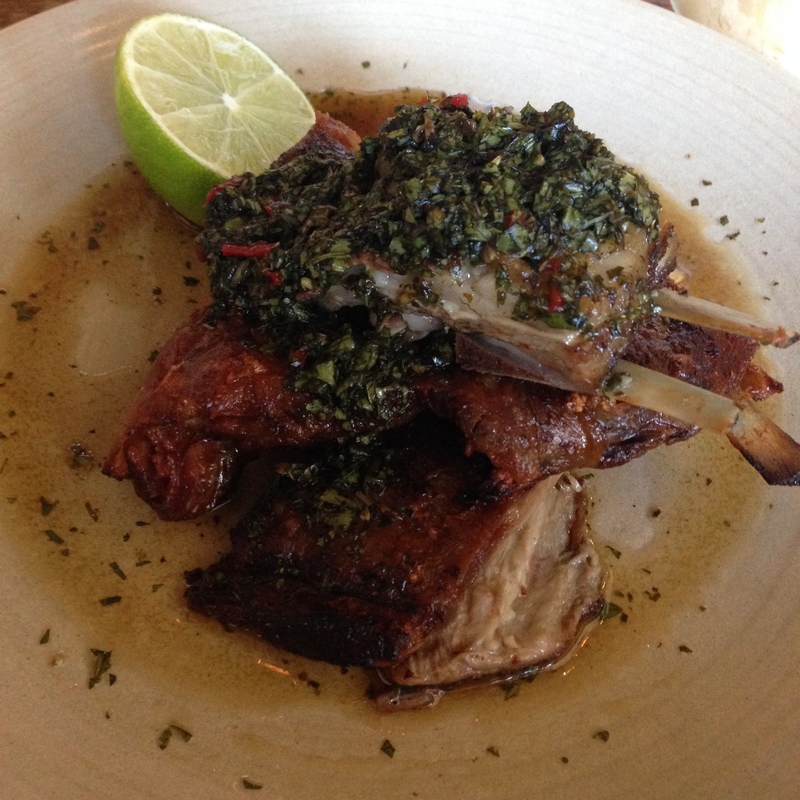 The lamb ribs, with black garlic, sweet chilli and mint looked a treat when they arrived at our table. The meat just fell off the bone, it was deliciously juicy inside, while there was satisfying crunch when biting into the crispy skin. The three ribs were easy to share, but you could always have them all for yourself instead. We chose to make our own ploughman’s board, with cheese and cured meats (which we started eating before we got a photo, it just looked too good). The serving of cheese was large, and the cheese itself delicious, with quality meats, a perfect combination with the bread. Honeycomb was an interesting addition. 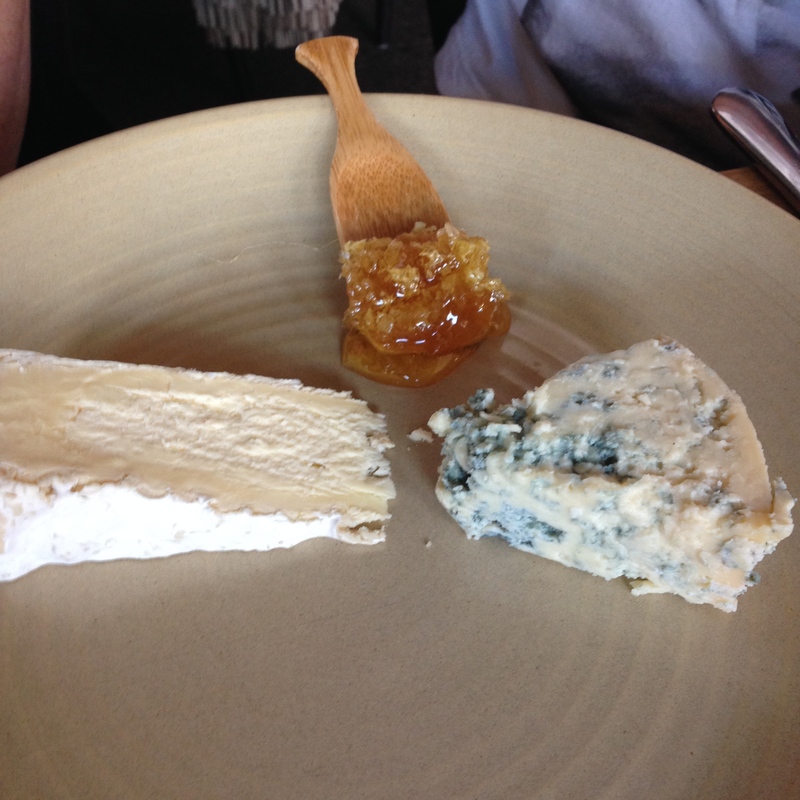 It works to enhance the flavour and creates a contrast of sweetness with the salty, sharp or creamy cheeses. 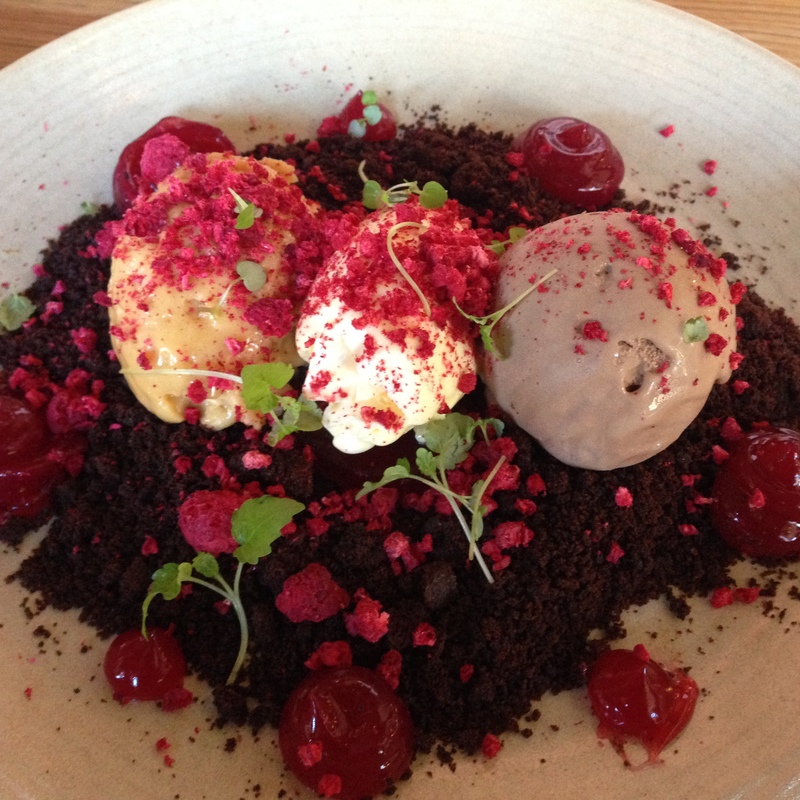 There’s nothing better then a dessert to share at the end of a delicious meal, especially one that looks like this. The crumble is a brownie base, with a peanut mousse, a thickened cream and chcolate ice cream, placed on a firm raspberry jelly. There was also a lighter raspberry jelly as well as raspberry crumble. The raspberry and chocolate is always a well done combo, the tart and sweet contrasting the richness of the chocolate, while the peanut mousse was an interesting addition, creamy with a little crunch. The serving size was perfect to share, and even among four it still did not totally finished. 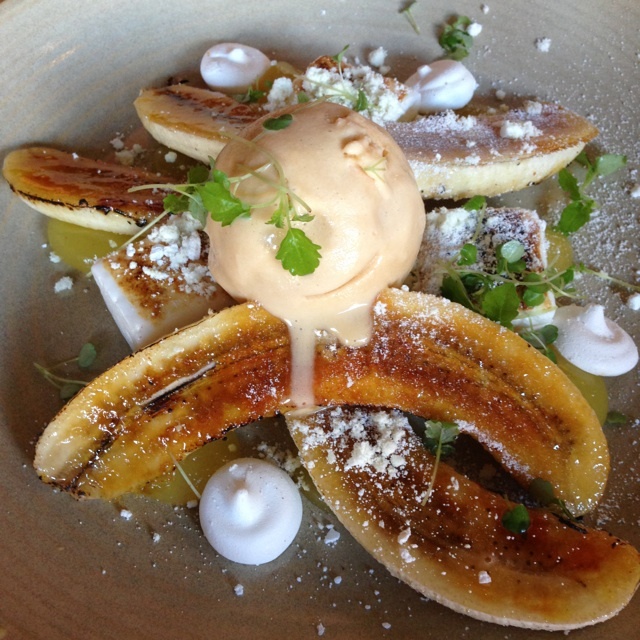 Our other equally impressive dessert was a salted caramel ice cream, served with candied banana, marshmallow and lemon curd. We all disagreed on what we liked about the elements, but all enjoyed the dish as a whole. While I thought the lemon curd may have been unnecessary it was loved by others, and while others disliked the candied banana, I really enjoyed it. The marshmallow was a fabulous spongey texture, and the salted caramel ice cream was exquisite in flavour. For such a controversial dessert (at least at our table) it was in fact very well received. When you have finished your meal you even have the option of taking home some delicious bread and butter with you, we definitely did so. Bread in Common is definitely worth checking out when you’re in Fremantle, they’re open from brunch till dinner (and late Fridays and Saturdays) so there’s really no excuse not to drop by! How amazing are the desserts!!!! Blew me away! The bread here rocked my world 🙂 I wish I stayed for dessert it looks amazing!